The view from the River Royale. Photo courtesy of Uniworld. Would you let dietary restrictions keep you from one of the world's culinary capitals? 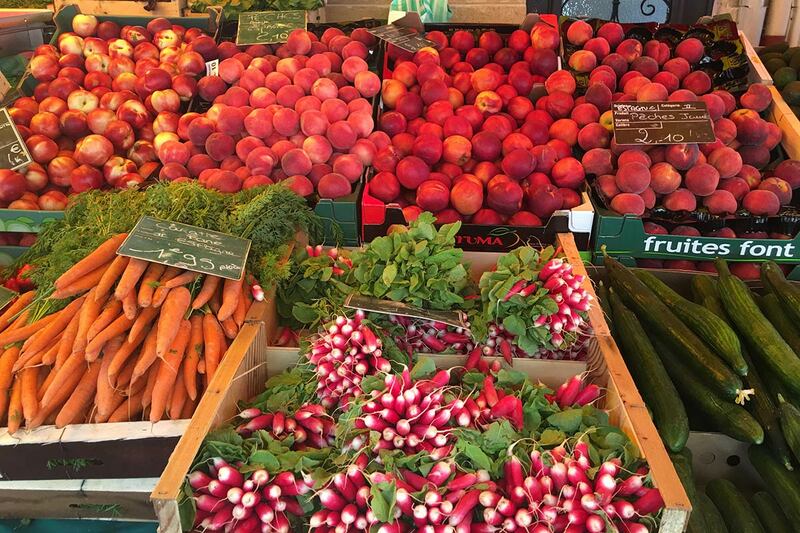 Travel writer Judy Koutsky, who recently swore off booze and bread, embarked on a food-and-wine themed cruise around Bordeaux and learned that there's more than one way to have a memorable experience in the vineyard region of France. 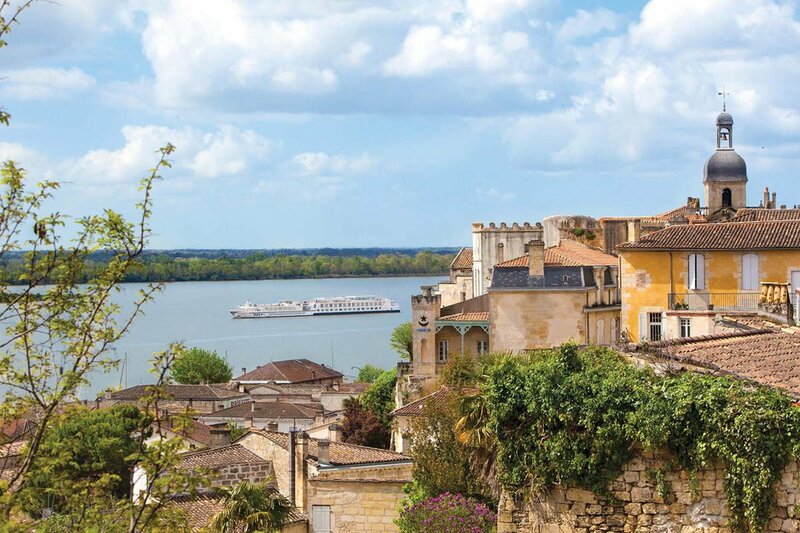 BORDEAUX — I just disembarked from Uniworld's Bordeaux, Vineyards & Châteaux river cruise, an eight-day food-and-wine themed journey along the Garonne, Dordogne, and Gironde rivers that highlights the best of Bordeaux and the surrounding Aquitaine. The only thing is, I don't eat carbohydrates or drink alcohol. I cut them out of my diet after losing both of my parents earlier this year. Their passing had a profound effect on me, and I turned to food and drink to handle the grief. Two months and 25 pounds later, I realized I needed to change my habits, not least of all because I am a mother to two young boys, ages five and seven. I promised myself I would eat healthy, exercise daily, and adopt a new mindset. This was especially hard when it came to travel. I take between fifteen and 30 trips per year, and most of them revolve around food and wine. At first, I only took trips I knew I could handle without succumbing to temptation — a turtle-tagging excursion in Nevis, a hiking trip in Maui. Then my friends invited me on a food-and-wine cruise to Bordeaux. I had always wanted to visit, so instead of ruling out the journey because it seemed incompatible with my new lifestyle, I decided to change the way I approached it. After all, if I was to successfully adopt new habits, I couldn't let a glass of pinot get in the way. Bordeaux at sunset. All photos by Judy Koutsky. Pont de Pierre in Bordeaux. I wanted to experience the wine region in a different way. 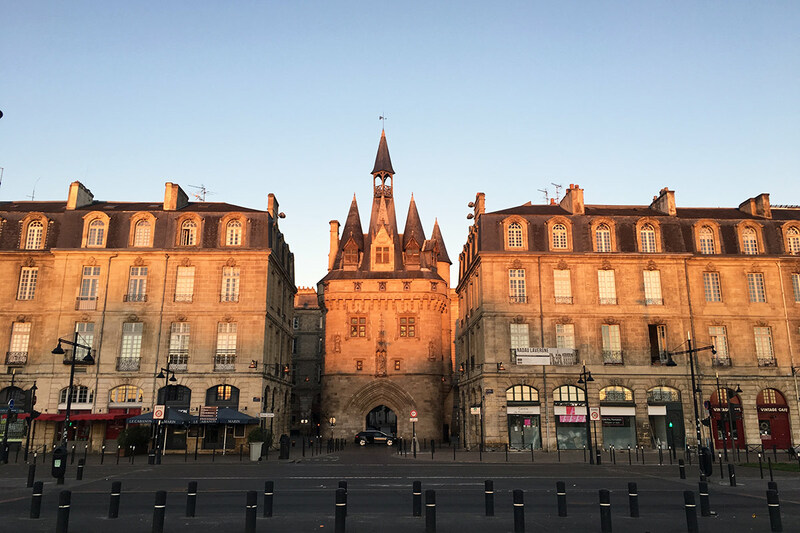 Everyone comes for the vineyard tours and wine tastings, but how many know that Bordeaux is also home to some of the most stunning architecture in Europe, with more preserved buildings than any other French city after Paris? It's also one of the best biking cities I've visited. Major traffic lanes are on the periphery, leaving the city interior open to bikers. There are also miles of trails along the river. But what were the benefits of experiencing the city from a river barge cruise? As much as cruises get a bad rap — the image of overweight people indulging in midnight buffets comes to mind — they're a great way for people with dietary restrictions to travel. Many diabetics and people with food allergies choose to cruise because they can communicate directly with the chef without worrying about language barriers or having to explain themselves more than once. On our 130-person vessel, the River Royale, there was a man from the United Kingdom with a gluten allergy, a woman from New Zealand who couldn't eat dairy, a New Yorker allergic to stone fruit (or anything with pits like cherries, peaches, and plums), a Californian who was vegetarian, many who stayed sober, and several diabetics. The boat had one staff for every three guests, so everyone got it after the first meal — no carbs or booze for the person in cabin 324. I trusted my meals to the chef, who knew my dietary restrictions, and found out there's more to French cuisine than baguettes and Champagne. Instead of surviving meals by simply substituting for bread and wine, I challenged myself to love food like the French do. That meant putting the spotlight on quality ingredients like pungent cheese, ripe artichokes, plump strawberries, sweet-smelling oranges, small and succulent cantoloupes (instead of large and tasteless), and classics like duck confit and perfectly seasoned sole, salmon, and branzino. My dietary restrictions helped me appreciate the quality of fruits and vegetables grown locally, without pesticides. The setting of some of our meals — like lunch at Chateau de Cazeneuve, the former residence of Henry IV — only helped. The connection between the way I eat and what I eat became so clear that I soon found myself tagging along with the chef on his daily trips to the market, where I learned how to pick tomatoes, differentiate peppers, and identify fish, just like locals have been doing for generations. A panoramic of St. Emillion. Photo courtesy of Uniworld. Uniworld's cruise was, in many ways, the anti-cruise: boutique, immersive, a step up from exploring solo. The vessel felt intimate but never crowded, a perfect place from which to observe life unfold on both sides of the river — people having picnics, kids riding bikes, farms being harvested, couples holding hands. The itinerary started and ended in Bordeaux and included stops in Paulliac, on the storied Medoc wine route, and St. Emillion, known for its wine-making tradition. When we pulled into port, I took advantage of bike tours to get a lay of the land (and get a workout). They took small groups around the city and were flexible, which meant I could duck away to check out nearby churches. (I love stained-glass windows.) I parted ways with a biking group in Bordeaux to visit the Basilica of St. Michael, where I lit candles for my parents. I couldn't leave the region without visiting a vineyard, so I participated in a wine tour in Cadillac, even though I couldn't drink. It was a learning experience. In order to make sweet wine, fungus is used to bring grapes to the right humidity level so they become sweet. They also require more effort to produce — one grapevine makes one glass, as opposed to one bottle for dry wines. I spent the last day of the cruise on the ship's top deck, taking in the fabulous French countryside, and drinking herbal tea — the comforts of cruising were not lost on this fast-paced New Yorker. The other seven days were a buzz, even without the wine. The Medoc peninsula is full of famous vineyards and chateaus that haven't changed in centuries. I took the Go Active Bike Tour and saw Mouton Rothschild, Pichon Longueville, and Chateau Latour in one go. The area is known as the first vineyard region to be protected under UNESCO, but what made me raise a glass was the city's architecture. 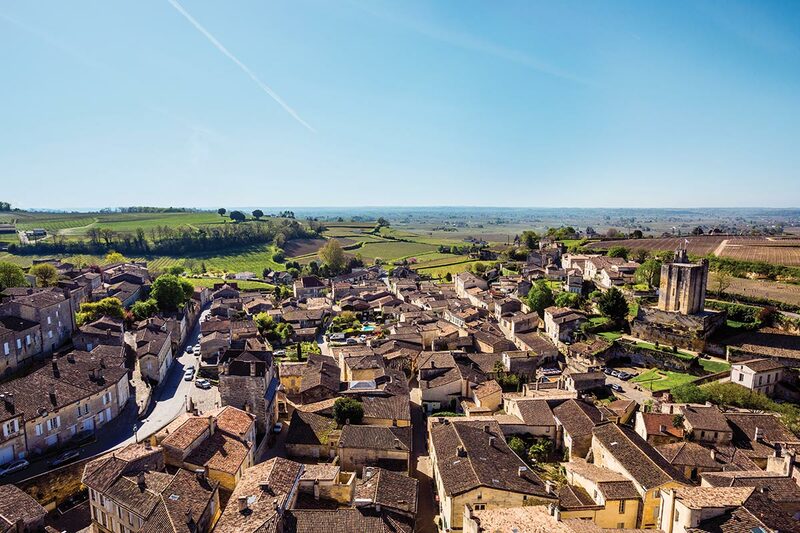 I took the Saint-Emillon Walking Tour down beautiful cobble-stone streets and into the famous 12th-century Saint-Emilion Monolithic Church, which is carved into a cliff and rests on a network of stunning catacombs. The 196 steps to the top of the church's bell tower were worth the climb for the amazing views. On the Biking the Backstreets of Bordeaux Tour, I pedaled along the riverfront neighborhood of Quai des Chartroom, past the antique shops and cafes along Rue Notre Dame, to Church St. Louis before heading to the Parliament buildings and Place de la Bourse. 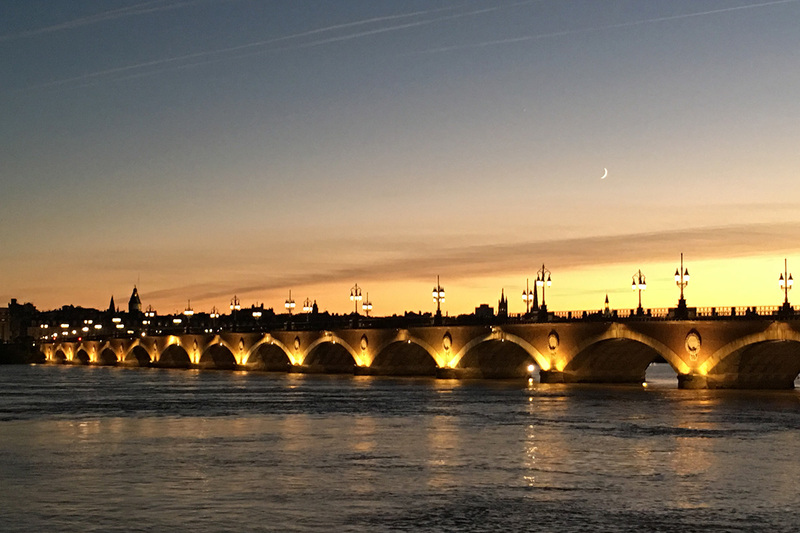 On an evening tour, the magical city came alive as lights illuminated the arches of Pont de Pierre and other gorgeous landmarks. Judy is a New York-based travel, health, and lifestyle writer. You can follow her on Facebook, Twitter, and Instagram at @JudyKoutsky. She travels for inspiration and perspiration.